Who doesn’t love a beautifully decorated cafe or restaurant. 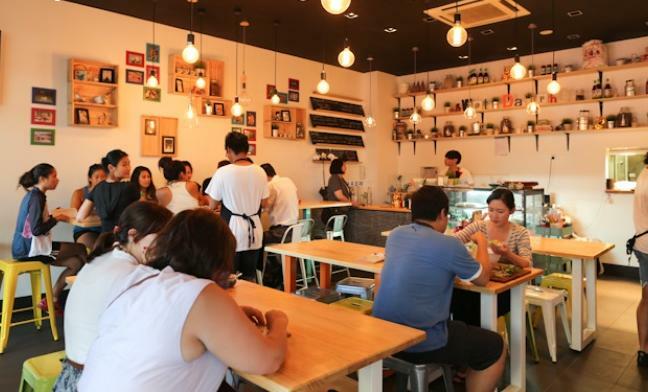 A warm welcoming feeling as you walk in to a place that feels like home before you even tasted the food. The feature walls, the grand and intricate details of the tables, and of course the chairs and stools that we spend a couple hours in savouring our meals. I love seeing a well decorated restaurant, it makes me feel so much more relaxed when eating. Please don’t get me wrong, there are plenty of great hole in the wall’s and simple places that have great food, but I believe to have a great and comfortable dining experience, the decor is just as important. Below are some of my favourite examples of beautiful stools and chairs in restaurants I’ve been to in the last few months. 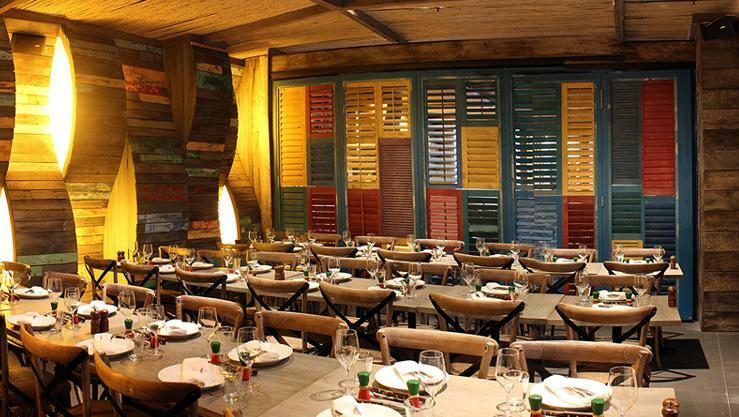 The restaurant has continued their South American cuisine through the decor, with colourfully painted walls and dividing shutters. The tables matches their food with a rustic feel to it, and paired with the Provincial Crossback Chairs, look great! A friend of mine sent me a message about this fun new Pho place in Melbourne that opened up a few months ago. You can just see the cheeky yellow and white tolix stools that are sticking out from underneath the tables. Remember, you can find all the Stools and Chairs found in the restaurants a place in your home at our website here. Remember, we offer the lowest prices for online furniture in Australia guaranteed. This entry was posted in General and tagged chairs, crossback, decor, dining, melbourne, provincial, restaurants, stools, sydney, tolix. Bookmark the permalink. ← The Block showcases our products!